Patients awaiting new organs should be told how often transplant centers turn away potential donor organs for nonmedical reasons, such as the unavailability of surgeons, medical ethics leaders say. Twenty-eight of the nation's 167 heart-transplant centers refused donor hearts for nonmedical reasons 20 percent of the time or more during a seven-month period in 1994, the Plain Dealer reported today. The period is the only one in which complete data are available. Of those hearts rejected for nonmedical reasons, 97 percent eventually were transplanted by other hospitals, the newspaper said in the second part of a series on the organ transplant industry. Patients should be given such information while they are deciding where to have a transplant, not after they are hospitalized, said Jeffrey M. Prottas, an ethics committee member of the government's organ allocation contractor, United Network for Organ Sharing. "Whenever I have my say on this issue, I say that UNOS ought to be publishing all of this," said Prottas, who teaches health politics at Brandeis University in Waltham, Mass. "It's really unfair. Everybody should know these sorts of things." "I'm surprised that the numbers are that high," said Thomas H. Murray, director of the Center of Biomedical Ethics at Case Western Reserve University and one of several ethicists and doctors who said they were unaware of the practice. "You'd like to know what the circumstances were ... but if they can't give good reasons, it's troubling." Every transplant center turns down some donor organs for nonmedical reasons, said Dr. John R. Wilson of Vanderbilt University. "There is no program in this country that can guarantee that every organ that's acceptable is taken," Wilson said. 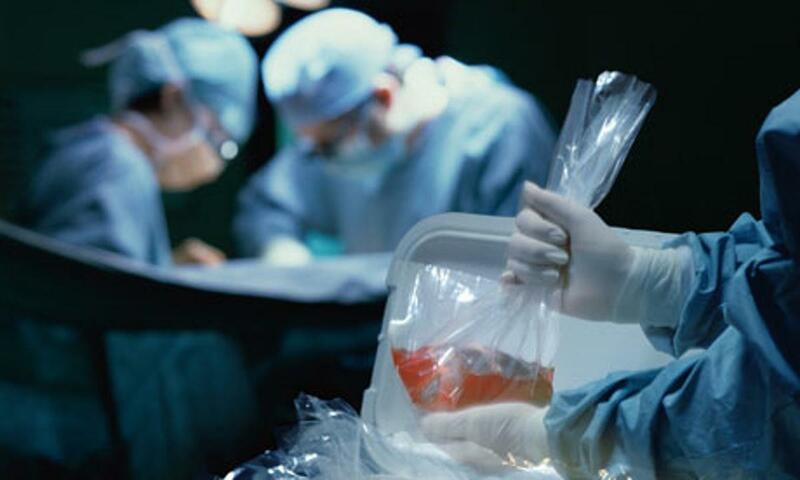 Judith B. Braslow, who heads the U.S. Department of Health and Human Services' Division of Organ Transplantation, said the number of hospitals that regularly refuse donor organs for nonmedical reasons is small. "We do 19,000 to 20,000 transplants a year. We're talking about very small numbers," she said. But when it comes to withholding such data from patients, "That's not to say patients should have been treated this way," she said. The Plain Dealer said a high rate of rejecting organs for nonmedical reasons sometimes reflects the size of a hospital's program and the resources and staff available for transplants. The number of people nationwide awaiting an organ transplant has tripled to more than 50,000 since 1988, with more than 3,700 waiting for heart transplants. During 1994, a total of 2,361 received heart transplants and 770 people died waiting, the newspaper said.